A credit card where on one hand is an effective tool for improving a credit profile, its careless use can damage it, say financial experts. Have you maxed out your credit card, meaning you are no longer allowed to make payments using your credit card? Credit card holders often want to lower their interest outgo or free up some of the credit limit. 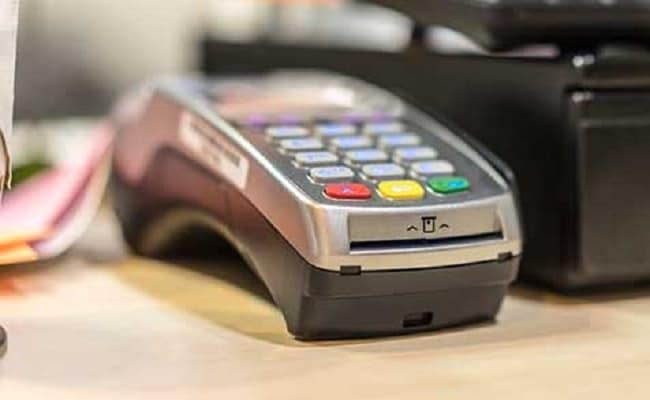 A credit card where on one hand is an effective tool for an individual to improve his or her credit profile, its careless use can worsen the same, say wealth planners. Financial products such as credit cards impact the borrower's credit profile, or creditworthiness. Banks and other financial institutions assess, among other factors, the credit score of an individual to decide on whether lending to the applicant will be lucrative. A credit card is a financial instrument which opens a credit line for the cardholder - or card bearer - to borrow funds from a financial institution against payment of interest. Once a financial institution opens a credit line to the borrower, the cardholder can use the same to make payment to a merchant against goods or services. Credit information companies provide records of payments against loans and credit cards by individuals and commercial entities to banks. Creditworthiness - or the ability of a borrower to service a loan - is reflected in a borrower's credit score. "A credit card cycle allows you access to credit when you need it, provides you with a larger repayment window, and helps you build your credit score only if you make prompt and timely repayments," says Sujata Ahlawat, vice president and head-DTC interactive at TransUnion CIBIL, a credit information company. "Regular repayments will showcase your good credit behavior and will help establish a positive credit footprint, thus boosting your credit profile and CIBIL Score." A credit card cycle is the period between bills issued by a lender to the credit card holder against any unpaid dues. In other words, it is the time period between bills. Usually, credit card companies bill the card bearer every month. A credit card statement has two dates, the billing date - the date on which bill is generated - and the payment date - the date till which the credit does not attract any interest (this is also the due date for the credit card holder to make the payment). The payment date consists of a grace period which is usually 15 days after the bill is generated. A credit card cycle - or credit card billing cycle - can help an individual build his or her credit profile, say wealth planners. "Practically one gets 45 days to pay an outstanding due without paying any interest. If a user pays the outstanding amount in full he does not accrue any interest or get into a debt trap, he Is able to build his credit profile and at the same time avail the loyalty benefits that credit card companies provide their users for using their cards," says Rahul Agarwal, director, Wealth Discovery. "In the case of a new-to-credit consumer, who may not have a credit footprint and hence no Score, a credit profile may be built over a period of 6 months. Other consumers can boost their Scores through prompt timely repayments, limited and well-managed loan accounts, a good credit mix, and utilizing credit within limits," says Ms Ahlawat. Payment history and credit utilization contribute to more then 50 per cent of one's credit score, says Mr Agarwal. Financial experts advise paying back more than the minimum amount due in a credit card bill. In other words, whereas delayed payment of credit card bills affects the customer's credit profile, refraining from paying only the minimum dues required adds to creditworthiness. "A credit card cycle allows you access to credit when you need it, provides you with a larger repayment window, and helps you build your credit score only if you make prompt and timely repayments," says Sujata Ahlawat, vice president and head-DTC interactive, TransUnion CIBIL. Paying the minimum due amount may be viewed as a sign of "financial duress", she explains. One should "pay off the full amount by the payment due date to avoid any negative impact to credit profile and CIBIL Score", adds Ms Ahlawat.